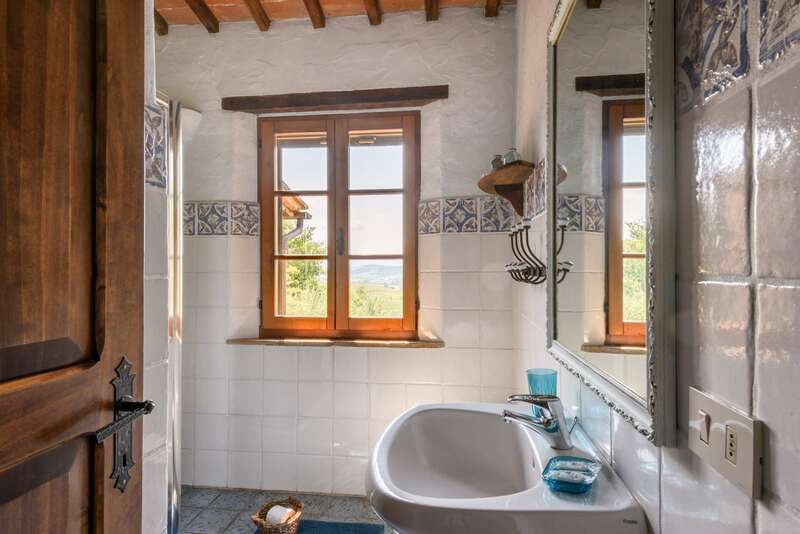 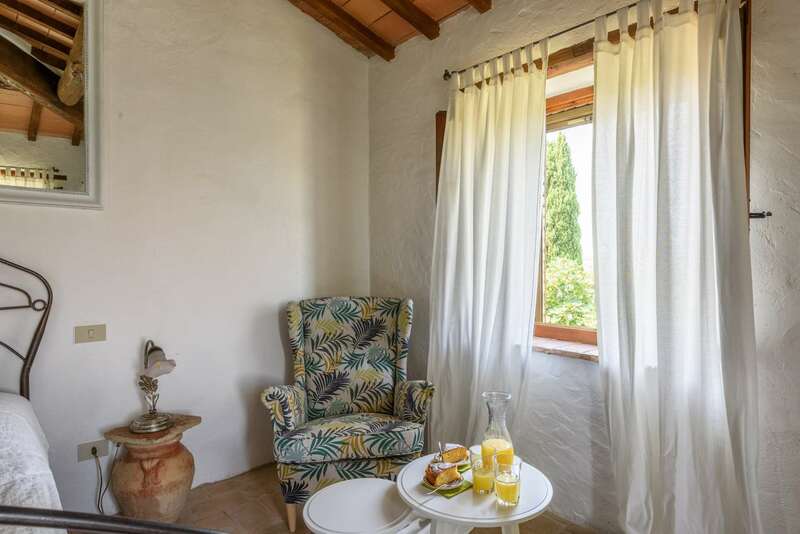 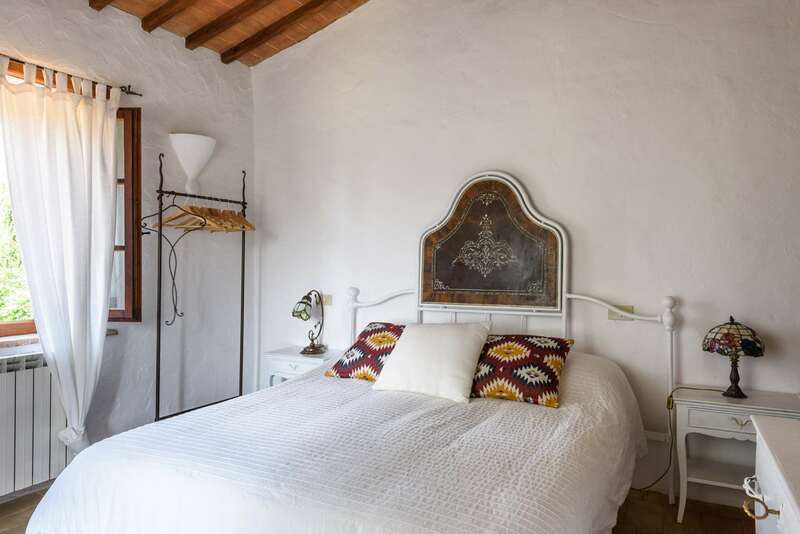 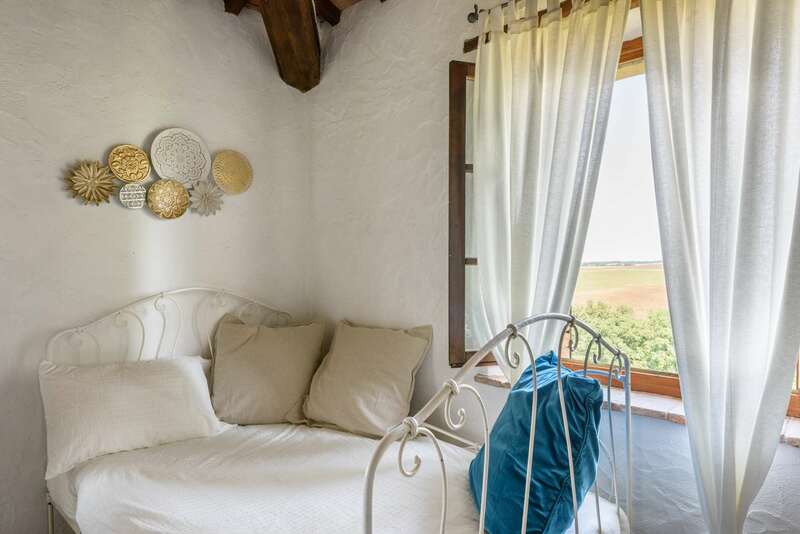 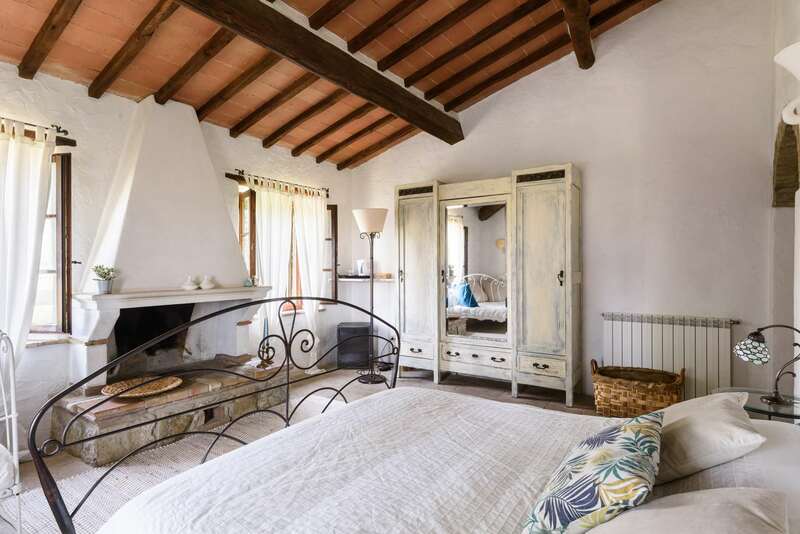 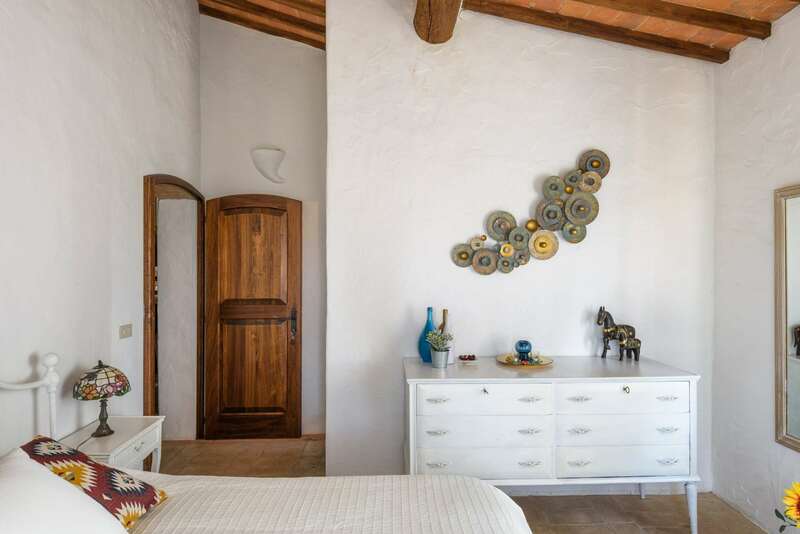 The double bedrooms with private bathrooms are located at the first floor of the main farmhouse and enjoy an excellent view. 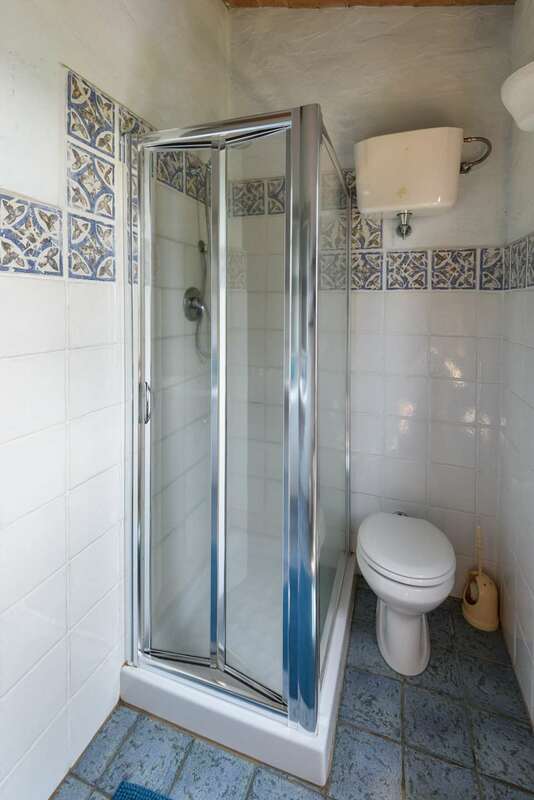 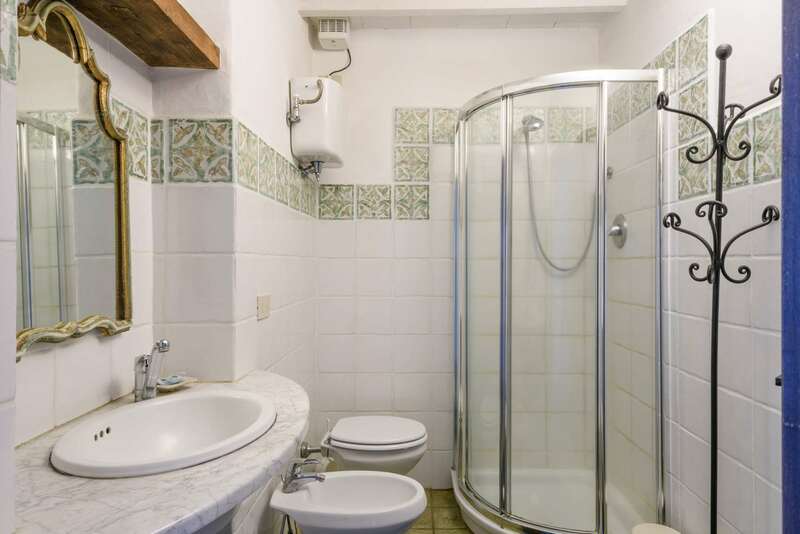 They are furnished with very good taste and are provided with mini-refrigerator. 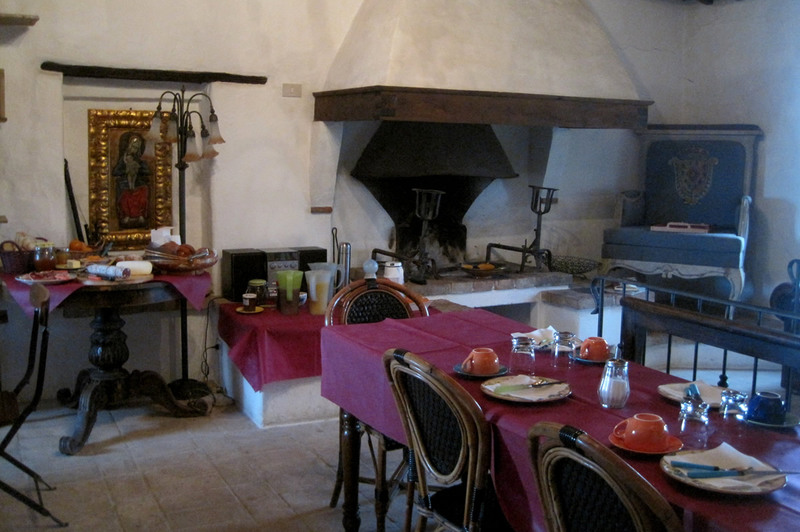 There is also a common room for use by the bedrooms guests with fireplace and television, where it is possible to taste the flavours of a tasty breakfast. 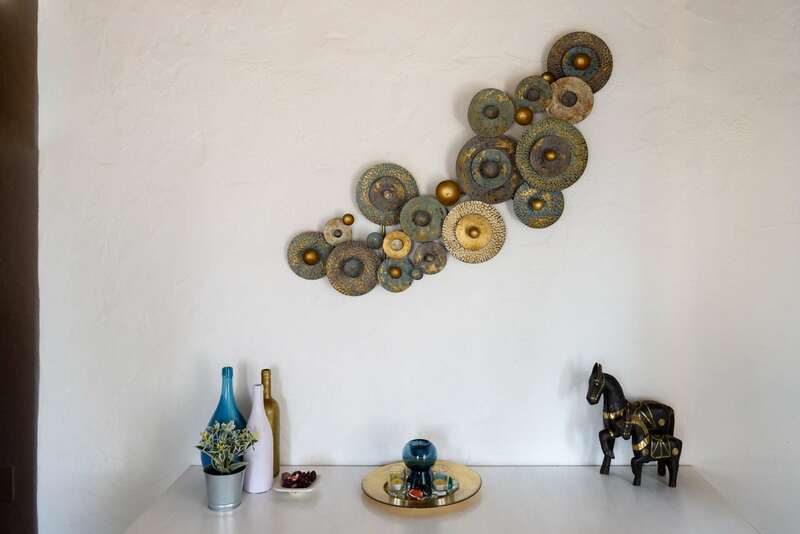 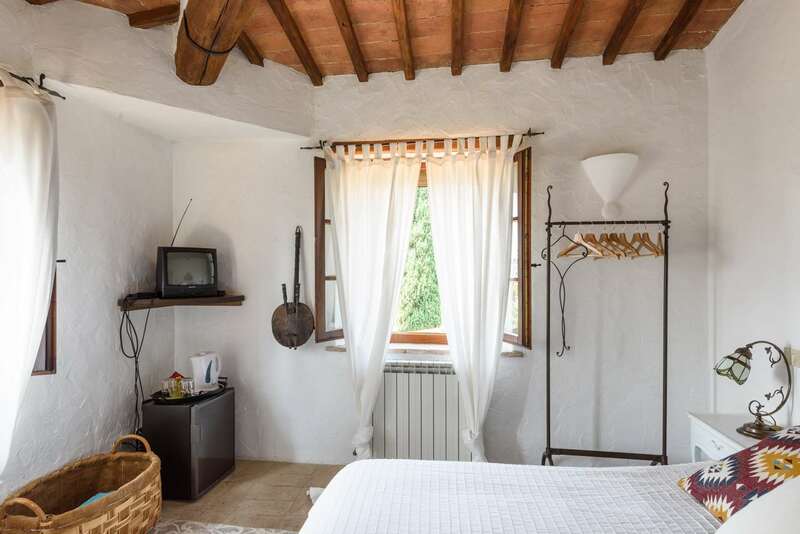 The bedrooms are equipped with heating, for being able to enjoy the Senese country also in winter. 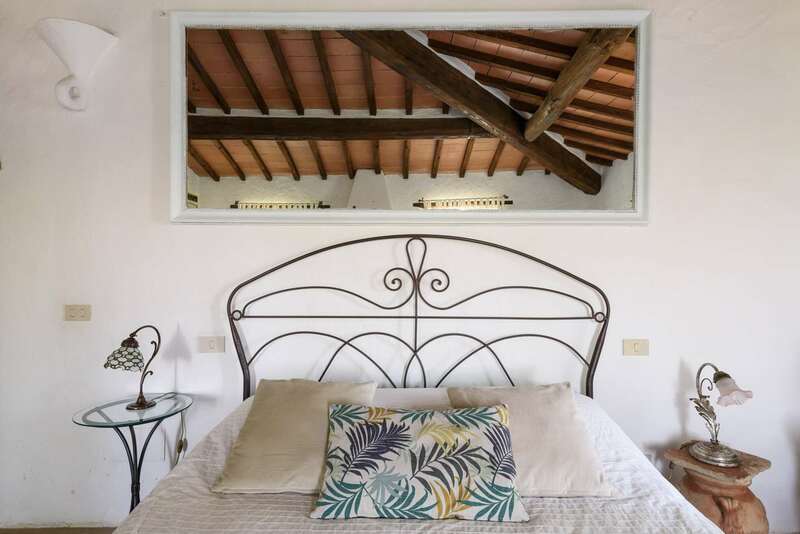 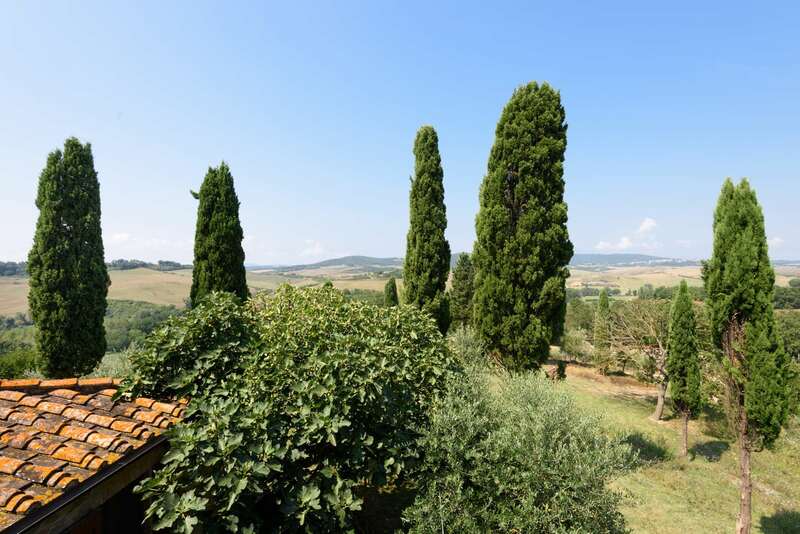 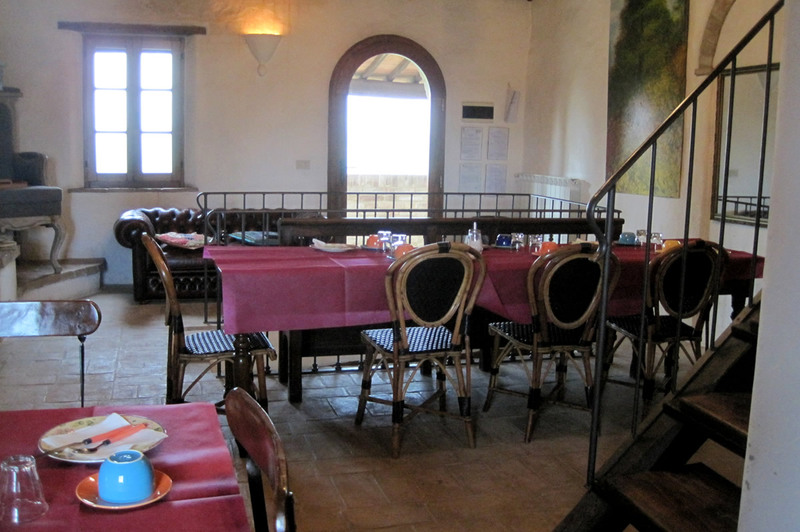 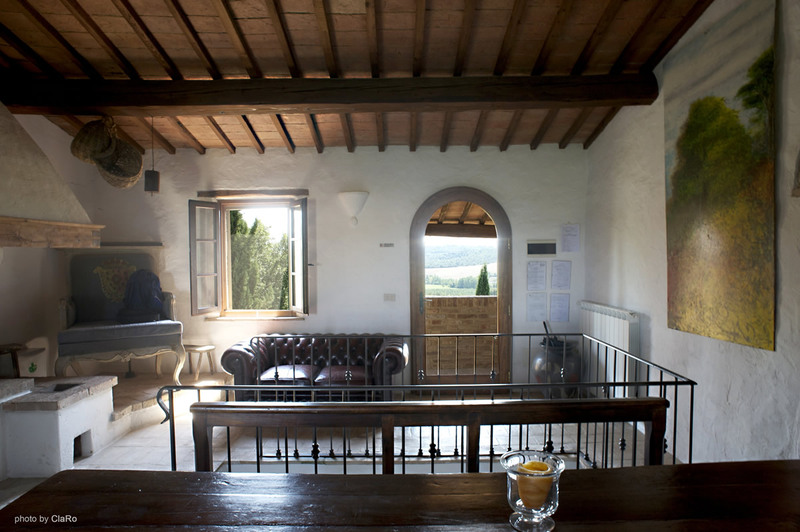 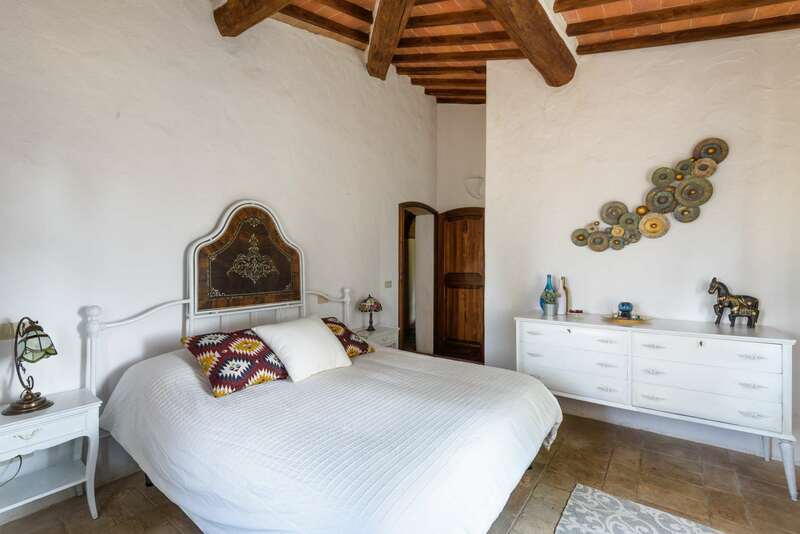 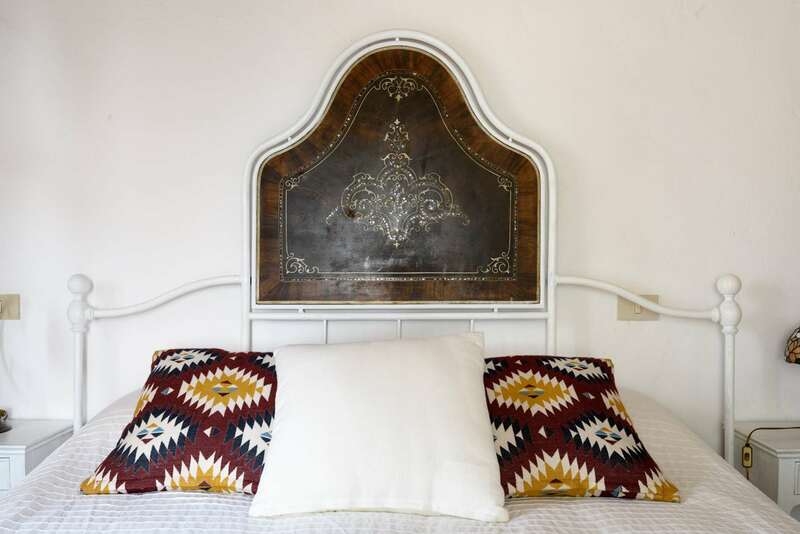 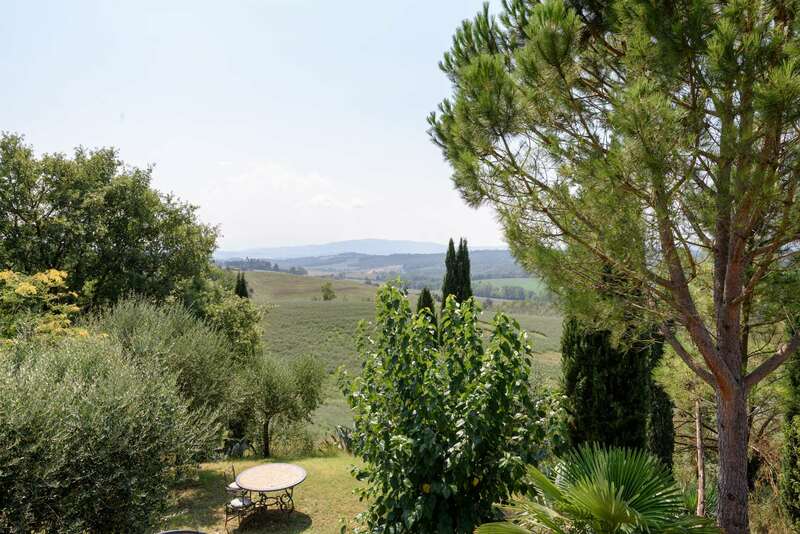 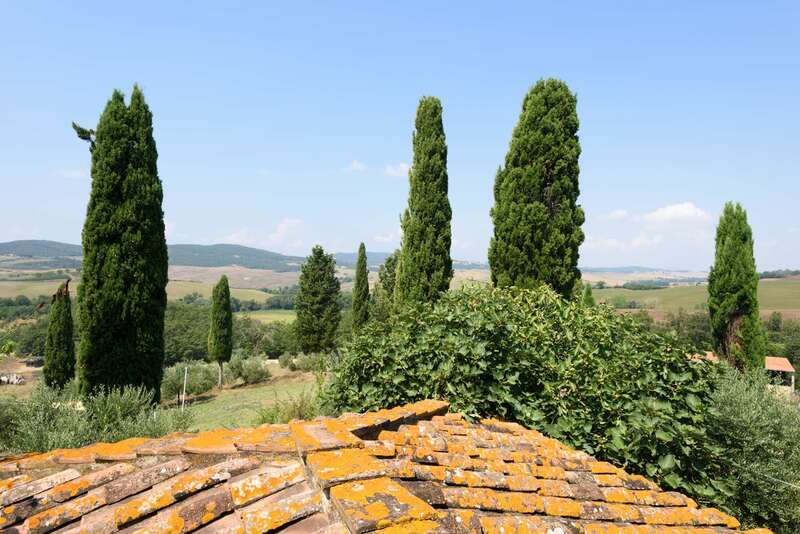 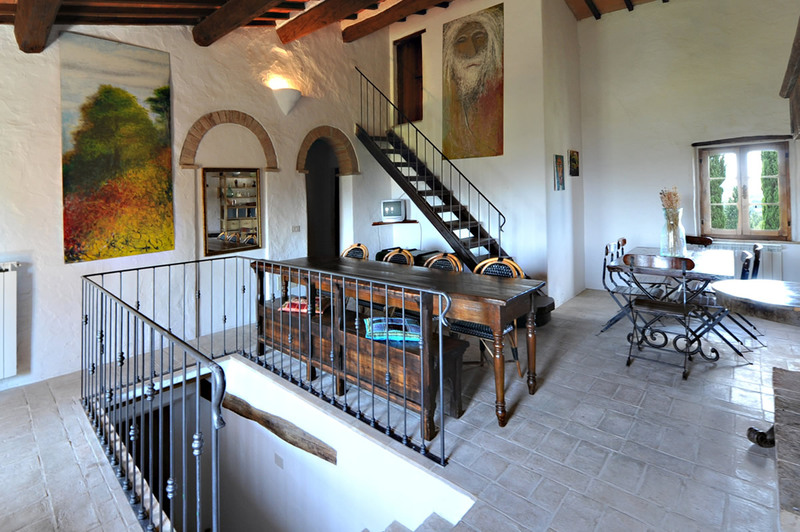 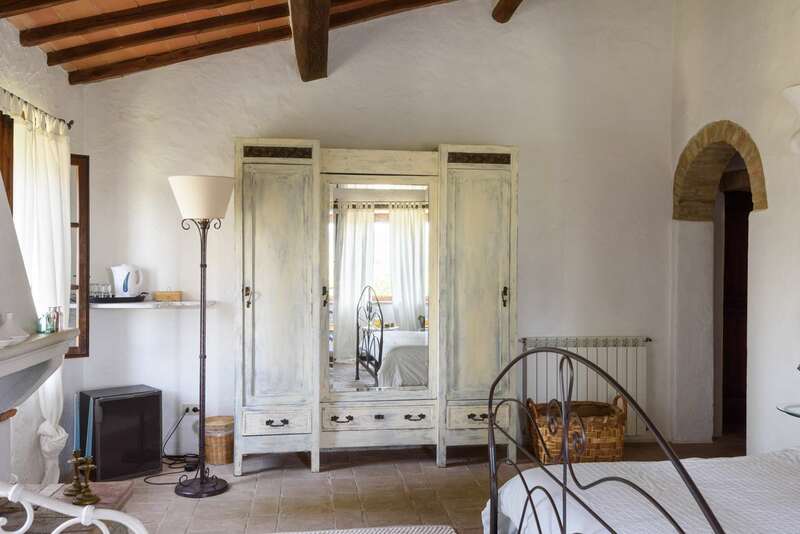 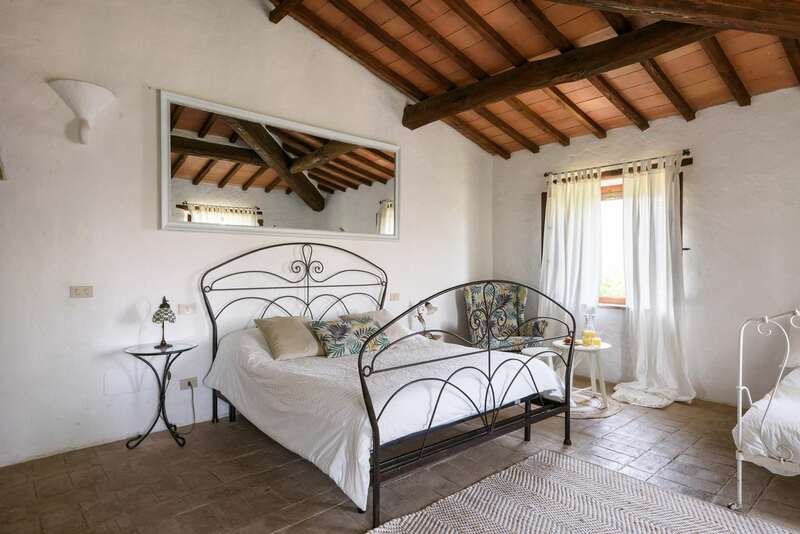 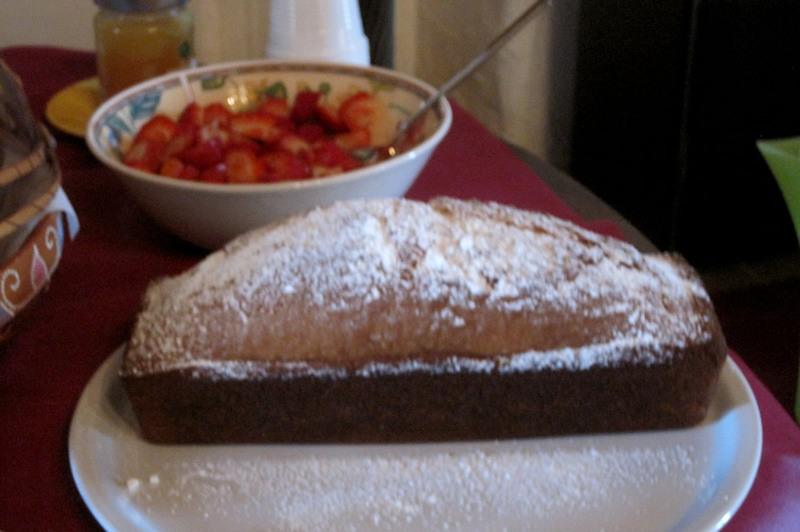 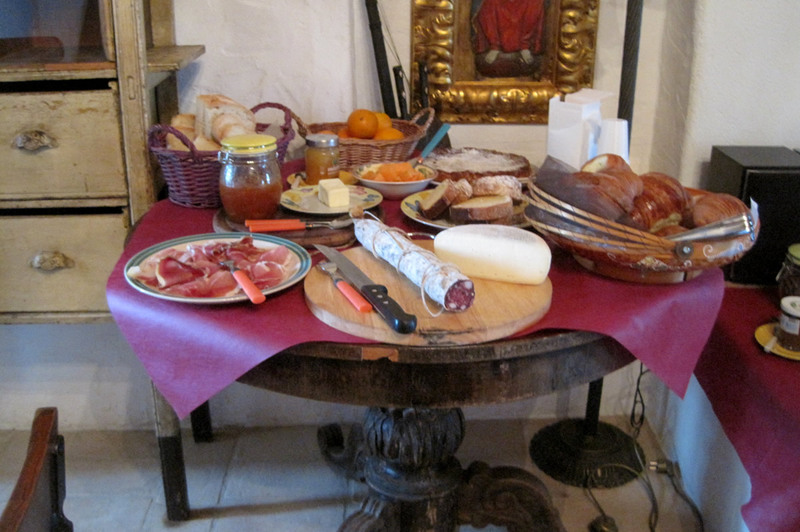 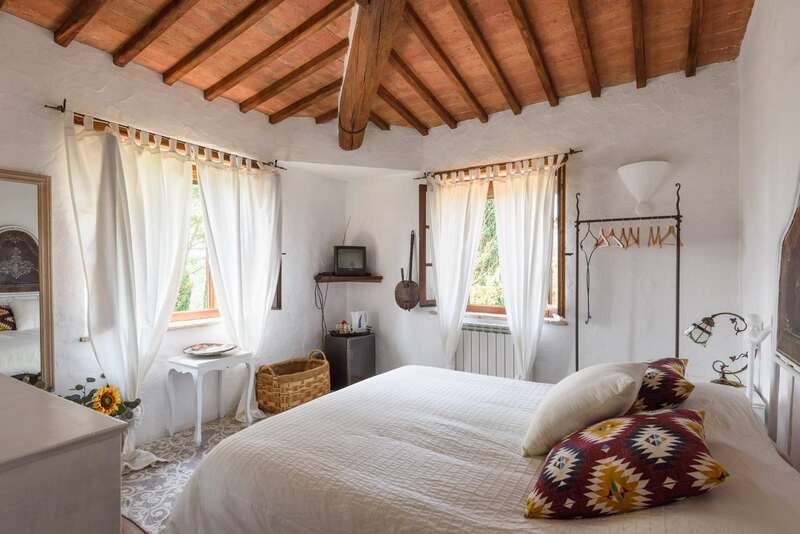 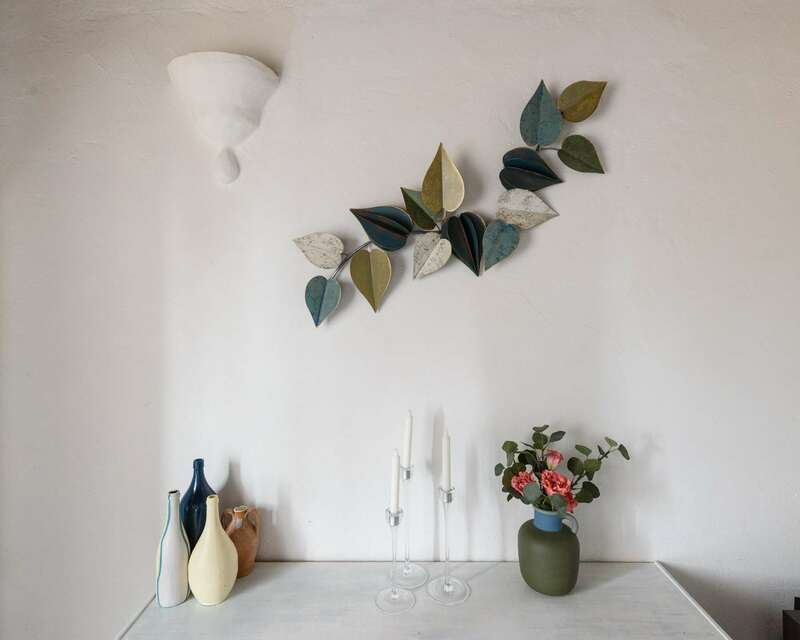 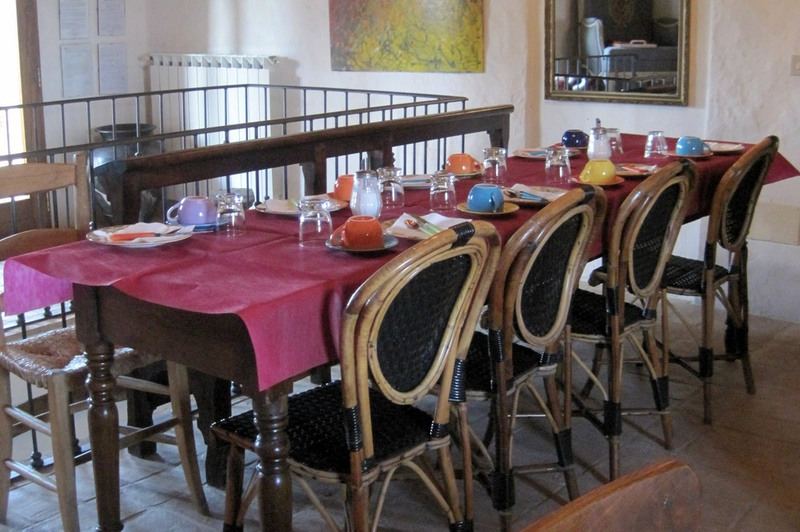 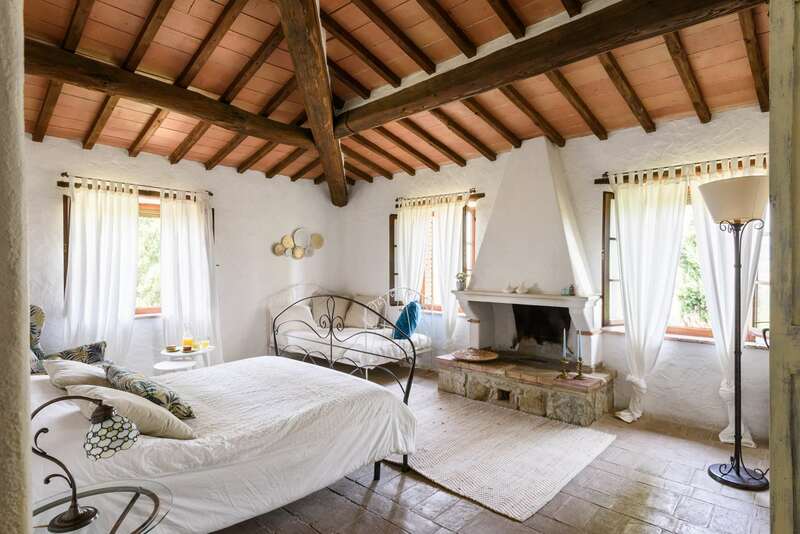 B&b Val d'Orcia Rooms in Tuscan style to rent in a farmhouse with swimming pool. 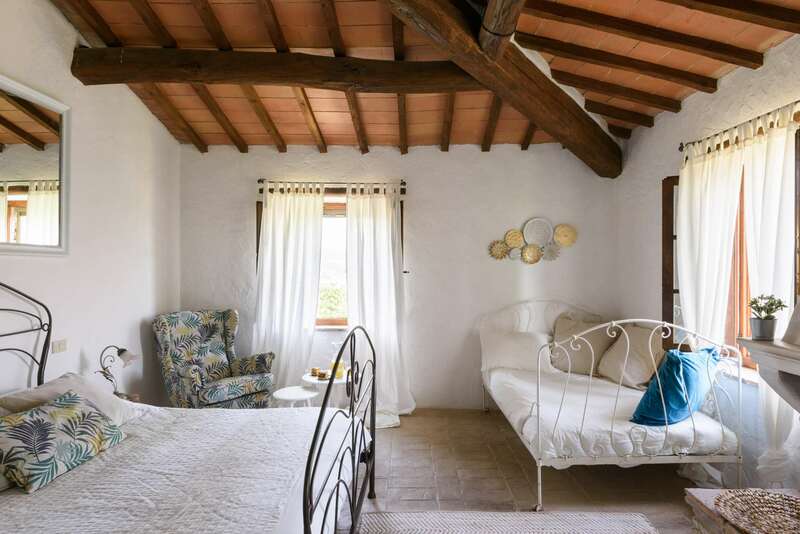 Agriturismo Val d'Orcia near Siena, Tuscany.